R.N. 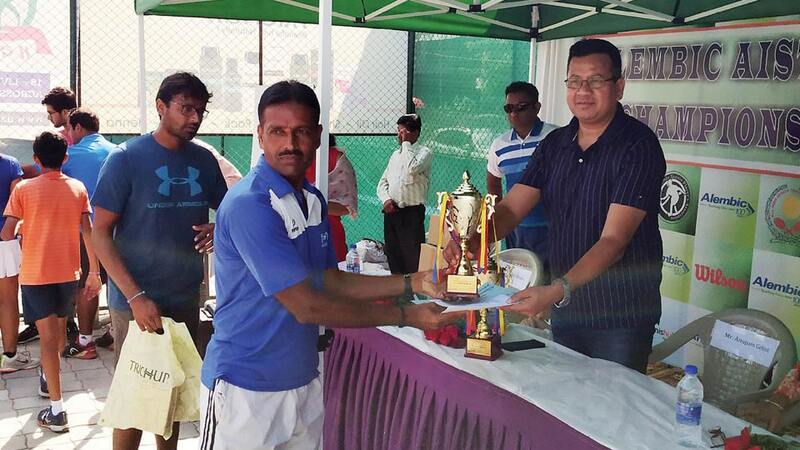 Ramesh, employee of CSIR-CFTRI, Mysuru, has excelled in the in 55+ category of All India Senior Tennis Championship held at Baroda in Gujarat recently. Ramesh, along with Deepankar Chakravarthi from Udaipur (Rajasthan) exhibited a wonderful game of play, defeating Meghanathan (TN) and his partner SLVN Raju (AP) by 6-3, 6-1 in the quarter finals. The same pair defeated Manmada Rao from Kalahasti (AP) and P.D. Ramesh from Machalipatnam (AP) by 6-3, 6-4 in the semifinals. However, the pair became the runners-up in the championship after losing the finals in a thrilling match against Mayur Vansant (Maharashtra) and Mehar Prakash from Hyderabad (AP) by 2-6. 6-7 (5-7).